U-type gantry crane is double-girder gantry crane, suitable for open freight yards and along railway operations, because the large leg space, it is suitable for lifting large volumes of goods, and also can lift containers, its gantry frame is similar with container gantry. 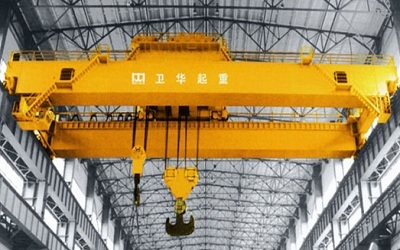 U-type double girder gantry crane with mature technology, it is safe, reliable, easy to operate and running smooth, it is our company's mature product over the years, as the most widely used cranes in China now. 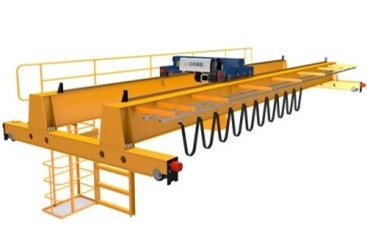 U-type double-girder gantry crane mainly consists of gantry frame steel structure, trolley and crane traveling mechanism, electrical system and other components. Outdoor work crane also installed with rail clamp, rail anchor device, anemometer, corrective devices, etc. 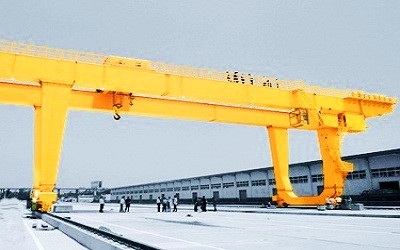 U-type double girder gantry crane uses double-beam and double-track, winch single trolley structure. Crane winch trolley part is including main and auxiliary hoisting mechanism, each using a separate transmission set. Main and auxiliary hoisting mechanism not only can independently complete lifting, but also can be coordinated to complete the work of flipping objects. The gantry frame structure is the same with A-type gantry crane, main beams, side beams, legs, saddles and lower cross beams are connected together by high strength bolts, on each flange plate using reaming bolts positioned, positioning marks have been completed before delivery. 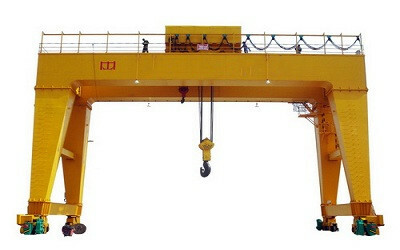 Its structure is similar with container gantry crane, which is more stable and firm. To facilitate transport, handling and lifting of installation on site, on the main components of the crane are set with lugs, hanging holes, etc. used for lifting. The intensity and location of these lugs and hanging holes are fully considering the lifting safety and convenience. Crane traveling mechanism driving type: motor drive the reducer through couplings and transmission shafts, reducer drive the driving wheels, it is smooth and reliable. This structural arrangement is conducive to each component installation, maintenance and removal of the driving system. Trolley mainly consists of lifting mechanism, trolley frame and trolley traveling mechanism. Main and auxiliary hoisting mechanism arranged in the same trolley frame, each set up with separate driving device, main and auxiliary hoisting mechanism not only can independently complete lifting, but also can be coordinated to complete the work of flipping. Trolley tracks using one whole railway that joints welding as integration, to ensure the trolley running well. Driving type of trolley traveling is same with that of the crane traveling mechanism. 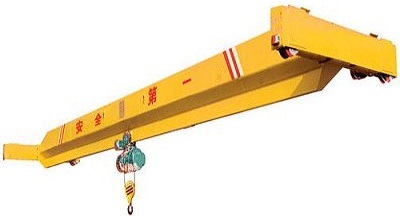 Power supply, operation and use points refer to A-type gantry crane. Technical parameter is an indicator of the operational capability of crane, its main parameters including: lifting capacity, lifting height, span, working level, working speed, etc., as shown in the drawings. Complete set of supporting components (such as reducer, motor, brake, etc.) using and maintenance, please refer to the supporting factory manual.